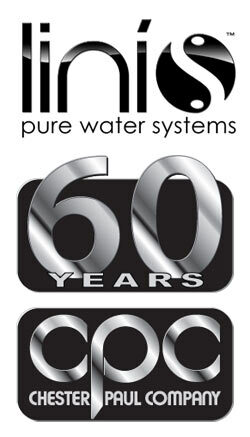 The Linis™ brand of pure water systems marks the latest chapter in the storied history of the Chester Paul Company. Chester Paul Caughron started the Chester Paul Company in 1948 as an industrial distributor selling only one product line in Southern California - Hansen Quick Disconnect Couplings. Today Chester Paul Company is a major supplier of water purification products and distributes hundreds of product lines worldwide. Our wide range of water solutions, make certain that your system will meet your specific needs versus others who offer a one-size-fits-all approach. We call it “Water for the Way You Live”.